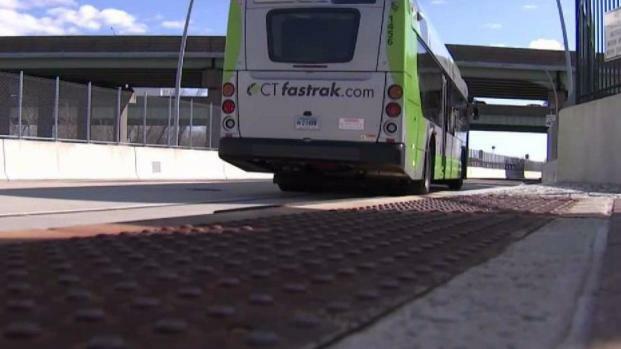 An NBC Connecticut Troubleshooters investigation has prompted a conversation about restroom accessibility for CT Transit bus drivers. CT Transit admits that their driver broke their rules. Surveillance video obtained exclusively by the Troubleshooters shows an on-duty driver exiting his bus and urinating in some bushes along the side of a busy road in Manchester. But some CT Transit drivers say what was caught on camera isn’t the result of bad behavior, but the consequence of a problem they’ve been enduring for years -- not enough adequate restroom facilities on their routes. 'Nowhere to Go': CT Transit Drivers in Diapers on the Job? As a result, some bus drivers avoid drinking water or eating before or during their work shifts. Others say they have resorted to wearing diapers so they can avoid having an embarrassing accident while in the driver's seat. "We don't want to be in the public view relieving ourselves like the video showed. We don't want to have accidents driving the bus," said Mike Wendus, a longtime CT Transit Operator. Wendus recalled the workday when there were no accessible restrooms around and he accidentally relieved himself in the bus driver's seat. "You know, you're human," he said. In telling his story publicly, Wendus is hoping for a change in how the company provides bathroom facilities. "You're not going to get anything if you don't come to the table and talk," he said. Wendus and hundreds of members of the local Amalgamated Transit Union said they have been calling on CT Transit and the state Department of Transportation, which own the bus service, to make more safe, clean restroom facilities available on all routes. Union leaders say, up to this point, CT Transit has not done much. CT Transit General Manager Cole Pouliot said while the issue may have been brought up to previous managers, this is the first time he has heard of it in the five months he has been at the helm. Now there are signs of some relief down the road. Pouliot said a new “bathroom committee” of sorts, made up of management and drivers, will soon be working on finally fixing this. "The bathroom issue is complex as we have many different routes that are spread over a large service area,” Pouliot wrote in email to the Troubleshooters. “Bathroom availability may change without notice as property owners change their position on allowing our employees access. This is one of many reasons why we never deny an operator's request to use the bathroom and routinely try and find restroom facilities along each route that drivers can use," Pouliot added. Wendus said he has been waiting 28 years for this conversation to happen. In the last couple of weeks, he said he has noticed a new appreciation for what he and other drivers have been dealing with. "Passengers that are concerned about us and stuff like that who didn't realize exactly what we go through," said Wendus. He said he will keep telling his story until the problem is fixed. On Thursday morning, hundreds of CT Transit drivers from across the state are expected to take part in a rally for restroom access outside the Gold Building in downtown Hartford. The rally will take place from 10 a.m. to noon. 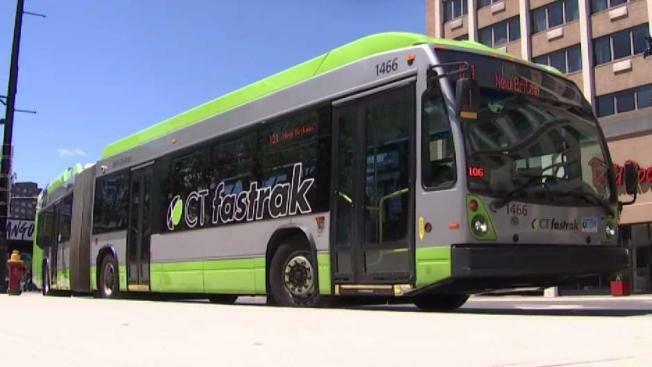 Several CT Transit bus drivers tell the NBC Connecticut Troubleshooters that there are not enough restroom facilities on all bus routes, forcing some of them to wear adult diapers on the job.